Let's talk about the color pink. There are many different shades of pink. And there are many different ways to use pink. 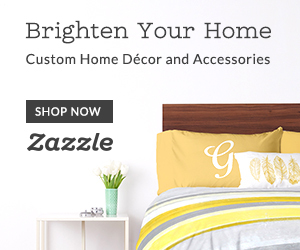 I personally like to wear the color or use it when decorating. Glossier loves the color just as much as I do -- maybe a little bit more since they have their own shade #glossierpink. Glossier is a modern beauty brand that features essential products for everyday life. From skincare to makeup to even an awesome sweatshirt, they have everything that you need! I personally love applying pink in the form of blush. 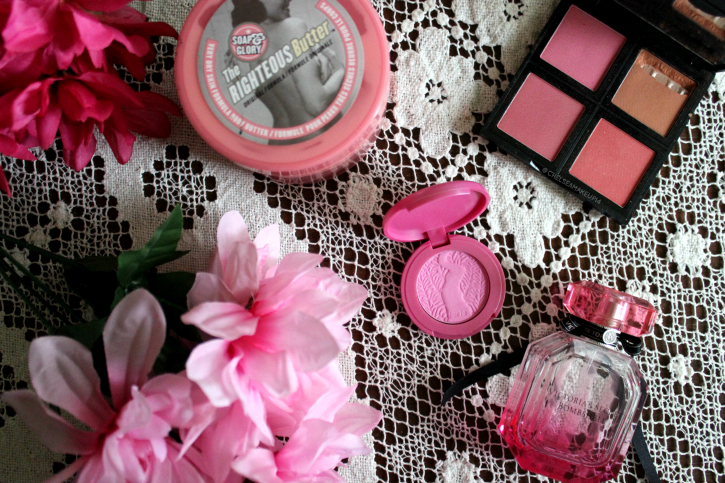 I have a serious blush addiction! 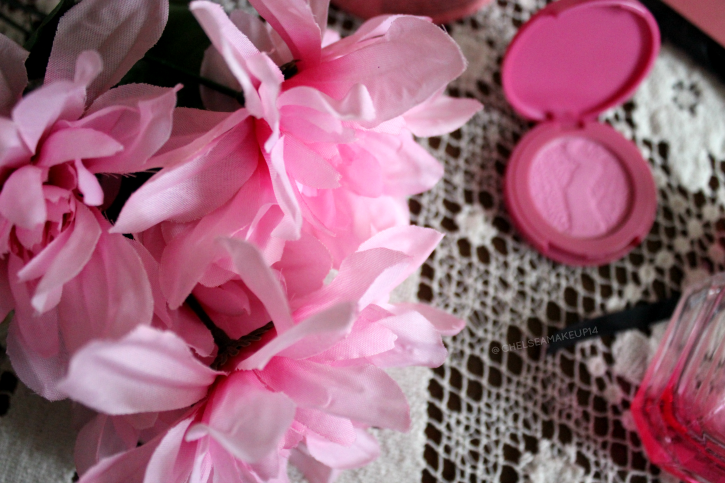 This color is a bright pink, which is perfect for just adding a 'pop' of color to your cheeks! I also mentioned that I love decorating with the color pink. I love having fresh flowers in the house that are pink. 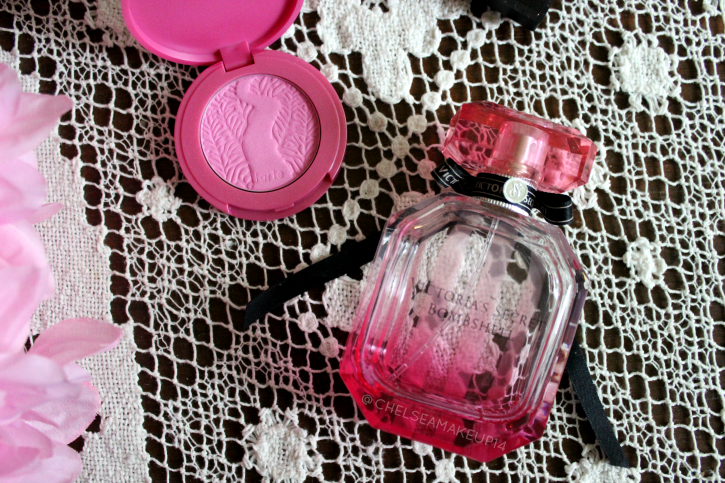 I also love using pink perfume bottles as decoration in my bedroom as decoration. 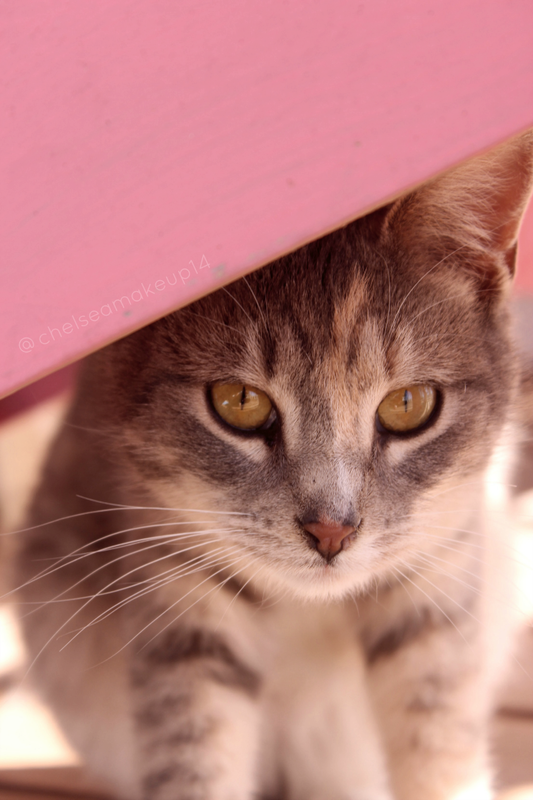 Mittens also wanted to jump on the blog post and show you guys how she likes to use pink...in the form of a chair. She naps here most of the day. You guys can go check out the Glossier website and learn more about this brand and their products. And tell me in the comments how you rock your #GlossierPink!